Nintendo 3DS XL owners have been clamoring for the Circle Pad Pro for the past eight months, and Nintendo is finally set to deliver. The company has listed the Circle Pad Pro device, and it is set to ship tomorrow. The trade off? Look how ugly and uneven it looks. 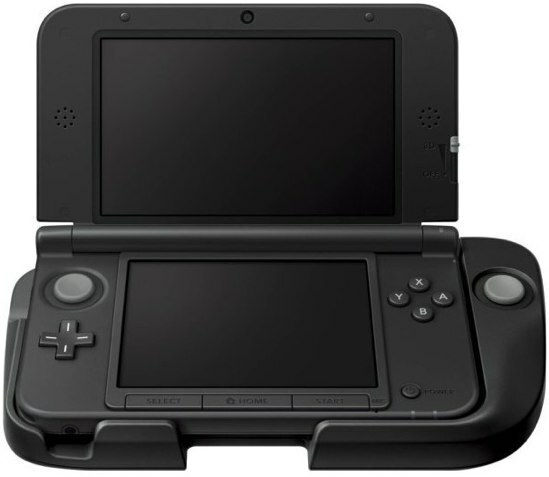 Sure, you get an extra analog controller over on the right-hand side of the device, but we have a hard time understanding why Nintendo couldn't have built-in this functionality right on the 3DS XL itself. Still, unsightly or not, you get a more ergonomic design. You'll be able to pick up a 3DS XL Circle Pad Pro for $20—it's compatible with select titles, including Kid Icarus: Uprising, Kingdom Hearts 3D, Resident Evil Revelations, and more.